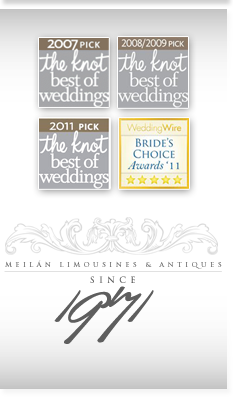 Meilan Limousine vehicles are new, clean, well maintained, and fully licensed and insured as required by law. Our extensive fleet of luxury vehicles includes fully loaded town cars and the latest model limousines. Tell us your plans and we will provide the best in luxury transportation to meet your needs and exceed your expectations. We enjoy making you look good, travel well and experience style and comfort. Our Lincoln Sedans are offered for any type of service from airport pickup and drop-offs to corporate events and special occasions. Available in Black. This top of the line Mercedes Limousine van is great to share with friends. Its standing room area seats up to 13 passengers comfortably and comes equipped with lighting and sound system. Great for weddings, birthdays, and parties. Available in Black. Our full size luxury SUV Lincoln Navigator L comes complete with all the amenities and comfort of any car. It’s roomy enough for 7 passengers. Good for travel to and from the airport/seaport or any special occasion. Available in Black. Passenger Vans available for any occasion. Seats up to 15 people comfortably. Available in white.